Once upon a time, there was an NPC Pokemon trainer called "Youngster Joey" who boasted that he owned a Rattata in the top percentage of all Rattatas. Players kicked his arse anyway, of course. 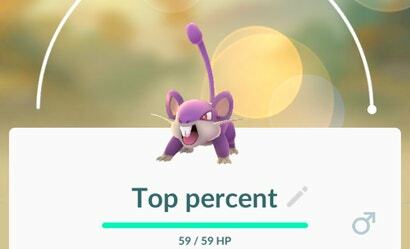 Years later, Pokemon fans are still keeping Youngster Joey's memory alive by training truly powerful Rattata.